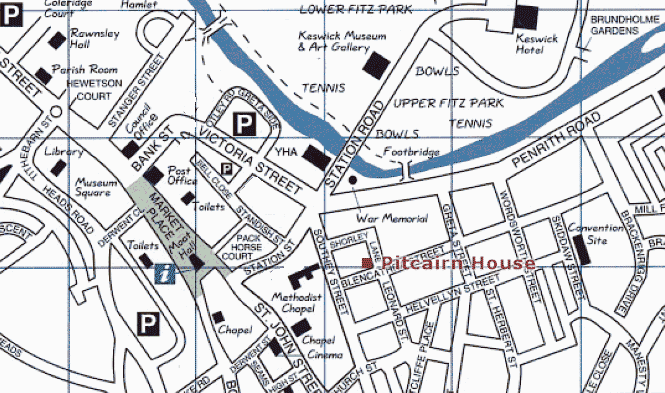 Pitcairn House is located in a quiet sidestreet just a short distance from Keswick town centre. 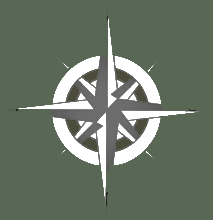 To reach us by Car. From M6 motorway north or south take Junction 40 (Penrith) onto A66 West towards Keswick. Continue along A66 for approx 15 Miles. Just prior to dual carriageway take slip road left signposted Keswick. Continue for approx 1/3 mile to T Junction. Turn Right and follow road down hill towards town, pass Petrol garage on left, under old railway bridge the fire and ambulance station. Take next Left into Blencathra Street, following round to right and continue almost to other end of street. Pitcairn House is on the Right, on the corner with Shorley lane. We have Limited Car Parking at the rear of the Guest House. From the pedestrian precinct walk up passing Moot Hall keeping left. Pass Keswick Lodge public house and turn left into Station Street. Walk approx 300 yards and turn right into Southey Street. Turn 2nd right after approx 50 yards into Blencathra Street and Pitcairn House is about 25 yards on your left.